Brian Flynn is a life-long progressive, entrepreneur and small business owner. He has owned a home in the town of Hunter for 15 years, making him the third generation in his family to call Greene County home. As an activist and a small business owner, he has always believed in taking action when something needs fixing. That’s why he’s running for Congress, based on his experience fighting for progressive causes, creating jobs, and getting bipartisan legislation passed in Washington. His campaign is centered around a comprehensive Plan for the American Worker that creates jobs and raises wages while removing the barriers that have kept people down. 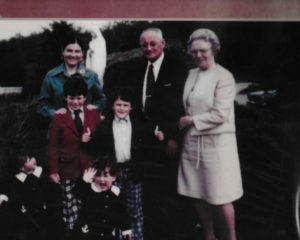 All four of Brian’s grandparents emigrated from Ireland and settled in New York in search of economic opportunity. One grandfather was an undocumented immigrant for many years and eventually found his way to the Catskills to tend bar in Leeds. Brian credits his grandparents as having lived the values he strives to emulate: strong work ethic, love of family, integrity, community, generosity, faith, strength, and perseverance. Brian’s great-uncle Michael J. Quill is another one of his heroes, a legend of the 1960s labor movement who founded the Transport Workers Union, led strikes in defense of workers’ rights, and also was one of the union leaders who saw the connections between their movement for economic justice and the rising Civil Rights Movement of the day. There is a cultural center in East Durham in Greene County named for Michael Quill. Brian was born in Rochester, NY. His mother was a teacher and his father a salesman so they moved around a few times before settling in New Jersey when Brian was in grade school. Brian received his BS in business from Georgetown, majoring in accounting but minoring in philosophy and theater. After graduation in 1991, he came back to New York to start his career in business. Almost 20 years ago, Brian married novelist and teacher Amy Scheibe. Once they had their first child, they started looking for a more rural community to raise their children and were drawn back to Greene County. After a magical autumn weekend back in 2003, they decided to rebuild a home that had burned down in Hunter. 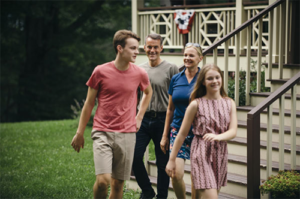 Now respectively aged 15 and 12, their son Bo and daughter Hedda have grown up able to enjoy the beauty of the Catskills, and the whole family has been involved in local community theater for years. Although he always had small businesses and entrepreneurial ventures on the side, Brian started out in the marketing department at Citibank to help pay the bills. After a few years, he managed to break out of the corporate world to pursue entrepreneurial ventures full-time in the late nineties. For the the next twenty years, he ran start-ups and small businesses, including Annotate Technologies, RLM Public Relations, and Schlossberg:Flynn. He is proud to say that the dozens of people employed in his companies always had wages well above the local minimum, profit sharing benefits, health care, paid parental leave, domestic partnership benefits, and special retirement benefits. A decade ago, with his business development consulting firm Schlossberg:Flynn, Brian started working with the medical manufacturing company AccuMED as it was in turmoil. Since then, with Brian as President, AccuMED has grown from employing less than 50 people in the US to creating well over 400 American jobs These are the kinds of good-paying blue-collar manufacturing jobs that used to make up the core of America’s middle class. It is Brian’s record as a small business owner and job creator that makes him uniquely qualified to craft and pass legislation that will help create an America that works for everyone. Brian’s history of fighting for justice began when he was a young man. In 1988, when Brian was only 19 years old, his older brother and best friend, JP, was killed in the terrorist bombing of Pan Am Flight 103 over Lockerbie, Scotland. Brian and his family knew that justice must be served for JP and the 269 other passengers who were killed, and they also knew that justice would not happen on its own. From protesting in the halls of the White House and the UN, to meeting with Senators and lead investigator Robert Mueller, Brian would stop at nothing. Ultimately, thanks to these efforts, Congress passed the Iran-Libya Sanctions Act, held responsible the corporations that had allowed it to happen, saw the terrorists imprisoned, and brought down the dictator who had ordered the bombing. Brian and his family also fought for tighter airline security to keep Americans safe, laying the groundwork for the specific security policies like metal cockpit doors that were not implemented until after 9/11. In 2009, Brian became the Vice-President of Victims of Pan Am 103, and he has continued the work of keeping his brother’s memory alive. In the 1990s, when Brian Flynn was serving at a soup kitchen at his church, he got to know the immigrants who were working hard for the surrounding businesses. They needed English language skills in order to safely navigate their lives and workplaces, but many could not enroll in any available programs because of their immigration status. So Brian began teaching English as a second language to undocumented immigrants, and continued to do so for years. As a lifelong progressive and entrepreneur, Brian Flynn believes that the business community has a special responsibility to be stewards of our environment. So when he saw the Bush Administration selling out to the fossil fuel industry, Brian helped start the New York chapter of Environmental Entrepreneurs. 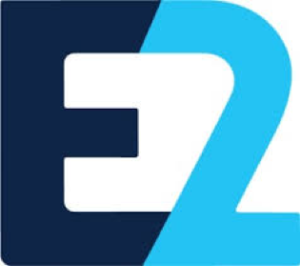 With E2, Brian worked for over a decade bringing private sector solutions to environmental issues, based on his strong belief that we can solve the climate crisis and create jobs at the same time. He went up against big polluters in testifying for hybrid taxis before the city council, and he commissioned a study that made the economic case for bringing recycling back to New York State. 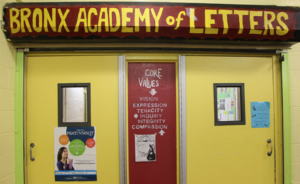 In the early 2000s, Brian and his wife Amy saw that many students finishing high school without the literacy skills they needed to be successful after graduation in the twenty first century. So, in coordination with the local teachers union, parents, and other community leaders, Brian and Amy helped to start a specialized college preparatory public high school–not a charter school–with a focus on teaching research, writing, and social justice. Today, thousands of kids have graduated, and they have gone on to colleges, trade schools, and jobs because they are armed with the skills they need to succeed. In 2003, when the Bush Administration entered the Iraq War, Brian marched to protest the unjust war. Brian understood that turning to military solutions instead of diplomacy is exactly what leads to extremism around the world. Global institutions and alliances do more to protect us from terrorism than any missile system. 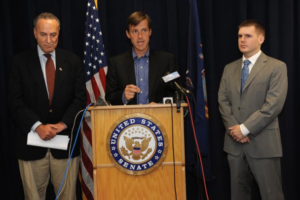 In 2004, Brian was becoming worried that the Democratic party had become rudderless and needed to stand for something other than being “anti-Bush” and “anti-war.” So, he formed a group called the Democratic Agenda with fellow New York-based activists, including now-Senator Kirsten Gillibrand, and pushed for party leaders to get behind an affirmative agenda. Top of their list: major progressive goals like Medicare for All and marriage equality. In 2007, Brian believed we needed new leadership in the White House and was an early supporter of then-Senator Barack Obama. He co-founded Irish Americans for Obama and organized them to aggressively campaign in the primary, recruiting dozens of volunteers and phone banking in key states. The establishment Irish Americans told them to get behind Hillary, but instead, they worked even harder. In the end, Brian Flynn and the three other co-founders were honored by President Obama at a ceremony at the White House for their rebellious spirit that helped him win. 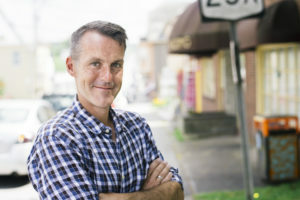 Since Kirsten Gillibrand first ran for Congress in 2006, Brian has been supporting progressive causes and Democrats running for office in Greene County and around the district. In the past decade, he has made contributions to over 60 different candidates and organizations, and attended countless local activist meetings. He has also spent hundreds of hours working in his community as a basketball coach.